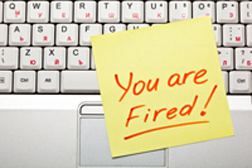 Were you looking for Wrongful Termination lawsuits? Maryland wrongful termination lawsuits are brought by employees who allege they were wrongfully terminated or wrongfully fired from their jobs. Employees are protected from wrongful termination in certain circumstances and can file a lawsuit if those protections are violated. Send your Maryland Wrongful Termination claim to a lawyer who will review your claim at NO COST or obligation. Maryland is an at-will employment state, which means that in most circumstances an employment relationship can be terminated by either the employer or employee for any reason, or no reason at all. This means that even terminations that seem unfair may not be illegal. Despite the at-will doctrine, there are situations in which firing an employee could meet the definition of a wrongful termination. Employers cannot fire employees for discriminatory reasons, such as for their race, gender, national origin, age, disability or marital status. Furthermore, employees cannot be fired for asserting or enforcing their rights, such as their right to overtime or minimum wage, their right to a safe workplace or their right to file a workers' compensation claim. Employees also cannot be fired for refusing to commit a criminal act, for reporting for military service or for reporting for jury duty. If employees have an express contract, they cannot be fired for reasons or situations that are contrary to those stated in the contract, agreement or policy. Violations of any of these circumstances may result in a wrongful termination lawsuit being filed against the employer. If you or a loved one has suffered Maryland Wrongful Termination losses, please click the link below and your complaint will be sent to a Maryland Wrongful Termination lawyer who may evaluate your claim at no cost or obligation. Is is unlawful for a Manager to take work away from you to keep another co-worker gainfully employed and then fire you due to lack of work?